Here’s legendary fashion designer and cycling lover Paul Smith, who recently visited the trendy Bike Shop cafe in East London. 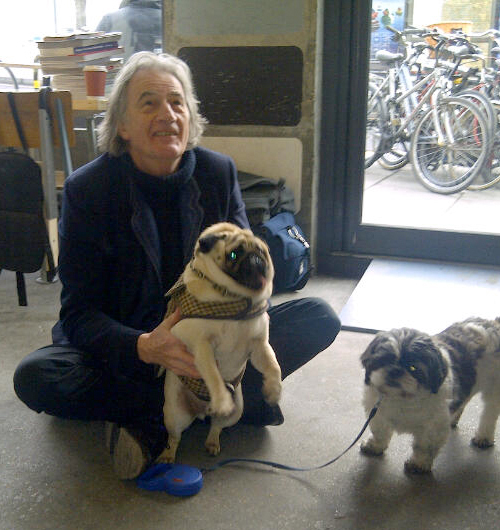 Paul is holding Stylist Magazine‘s fashion loving pug Lenny, who is wearing one of our Tweed coats. 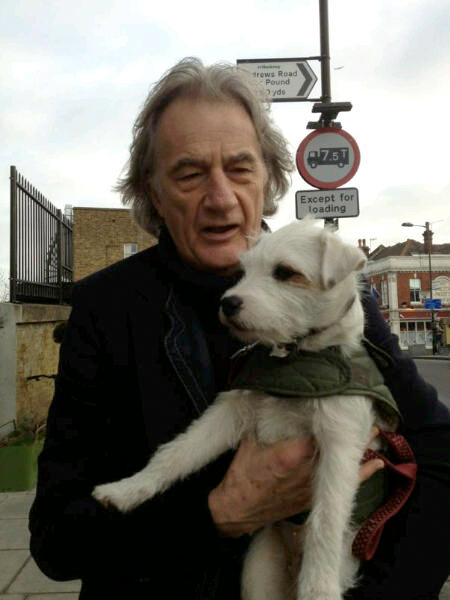 This second photo shows Paul Smith with Lola who is wearing a LoveMyDog Elwin quilted dog coat.